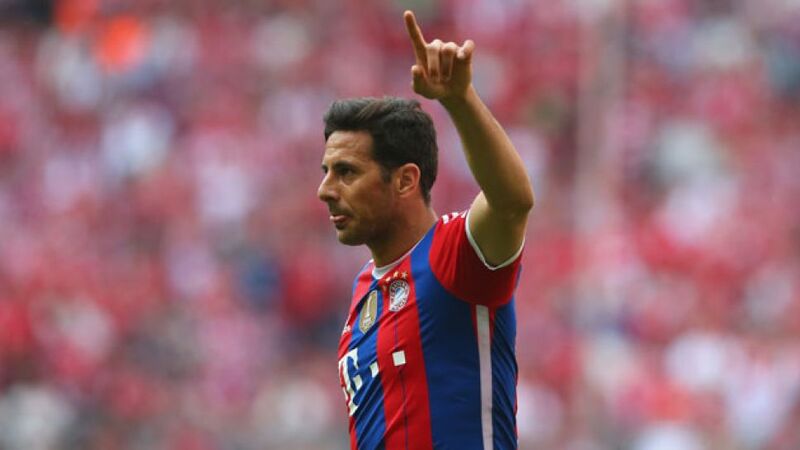 Munich - FC Bayern München have extended terms with Claudio Pizarro for a further year, through to 30 June 2015. The 35-year-old Peruvian striker who joined Bayern for the second time in 2012, weighed in with ten Bundesliga goals in just 17 appearances last season. That impressive scoring ratio of one goal every 68 minutes last term was more than enough to convince the record champions to keep him on the books for another season. "Claudio has underlined once again this season how much of a scoring threat he is, and how important he is for the team," said Bayern's chairman Karl-Heinz Rummenigge. "We're really delighted that we can continue to count on him and his performances." With 176 goals all-told, Pizarro is the highest-scoring foreign player in the history of the Bundesliga and ninth on the all-time scoring chart, now just one goal shy of Klaus Allofs and Dieter Müller and three behind Stefan Kuntz. Another season like 2013/14 could even see him break into the top five, moving ahead of Ulf Kirsten (182). "I'm very proud to be able to play for FC Bayern again next year," said Pizarro, "there's no better club in the world for me." The 75-time Peru international is now set to embark on his ninth season in Munich, having also had two spells with SV Werder Bremen in the Bundesliga. "We've got an incredible squad and we have a lot of fun together," he continued. "We're really going to challenge again next season." Pizarro has won the Bundesliga five times with Bayern and picked up a UEFA Champions League winner's medal in 2013. He helped the Bavarians to victory in the FIFA Club World Cup in 2001 and again last year, and has lifted the DFB Cup on no fewer than six occasions - five with Bayern and once, in 2009, at Bremen.